First day as a certified Kumon student! When I was pregnant with my son, his father asked me if I was nervous about anything? I think he questioned me because he was nervous (this was his first child and my second) but what I hadn’t verbalized to anyone, until then, was how scared I was to take on the responsibility of raising a black boy. Not because I was nervous about having a son, again, this was my second child, but because I had a duty to see him through his childhood…alive! Knowing what “our little boys” face at every stage of life (think Trayvon Martin) and having seen how my mother and father had to fight for my brother, I knew what I was up against and add to that the stress of just being pregnant…inwardly, I was a mess. I remember, very vividly, how my brother was treated by adults who were supposed to be in charge of helping mold him into a responsible young man and instead tried to tear him down. There were teachers, church members, family friends, and neighbors who all had a hand in operation “Try to ruin a little black boy”. Thankfully, my brother didn’t listen to what adults were saying or care how they felt about him. God gave him the unique ability to tune out nay sayers (this is the nice way of saying, “He didn’t give a BLEEP!) and gave him a set of parents who were supportive, willing and able to fight for him at every turn. It worked and he went on to be very successful. So for me, having seen how these adults systematically tried to break his spirits, the reality that the torch was being passed to me and I was now the one in charge of training and fighting the known and unknown forces that await every little black boy, was somewhat daunting. As my son grew, any fears I had (which were mostly due to my being pregnant) disappeared and it was time to get into mommy mode but in the back of my mind, the thought of what he was soon to face was always there. My son was watched by my mother from birth and the best thing that came from her watching him, aside from the obvious, was that she was a retired Principal and when he turned two years old, they started to go to “Granny School” for fun. Soon, he was learning to read words and his numbers…it was brilliant! She made learning a game as opposed to something he had to do so when he wanted to stop, they stopped and when he wanted to learn, they learned. This went on until he turned four and then it was time for him to move on to a more difficult, structured program. 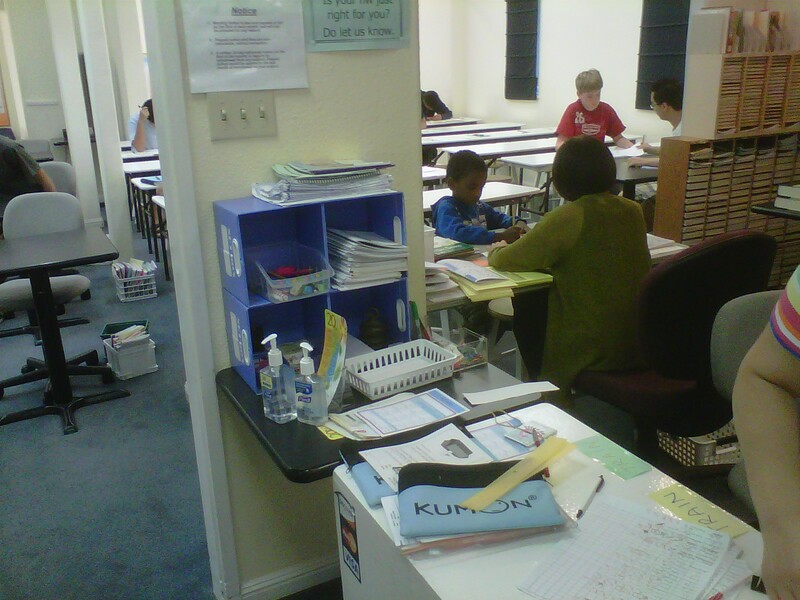 My daughter had been going to Kumon for math support and since they were there waiting for her, my mother looked into enrolling him into their reading program. He was excited to be receiving a “blue bag and homework like sissy” so he dived right in and really began to learn how to read. By the time he was five and ready for Kindergarten, I began to realize that if I put him in the public school system near us, we may run into the problem of them telling us they were “unable to teach him” because he was advanced and already reading and writing at a 1st grade level. Instead of teaching the other children to the level of the most advanced child, they will hold the most advanced child back so that the others can catch up. This is a trick reserved for “children of color” and one that was tried on me when I was in 3rd grade. Not mine! So now the task of finding a school with a program that would push my son as opposed to hold him back began and after talking to some customers that worked at a private school near my job, I found one that did everything I wanted and expected from a school. They continued where my mother left off and they complemented what he was already doing in Kumon. Success! As we revise the blueprint created by my parents and take control of his education, we’ve ensured that any adult who attempts to interfere with his learning process is unsuccessful and we’ve eliminated one major obstacle my son was sure to face… giving ourselves a little breathing room to prepare for the next obstacle, which is inevitably coming his way.